When I am out treasure hunting, I am always looking out for unique pieces to paint. 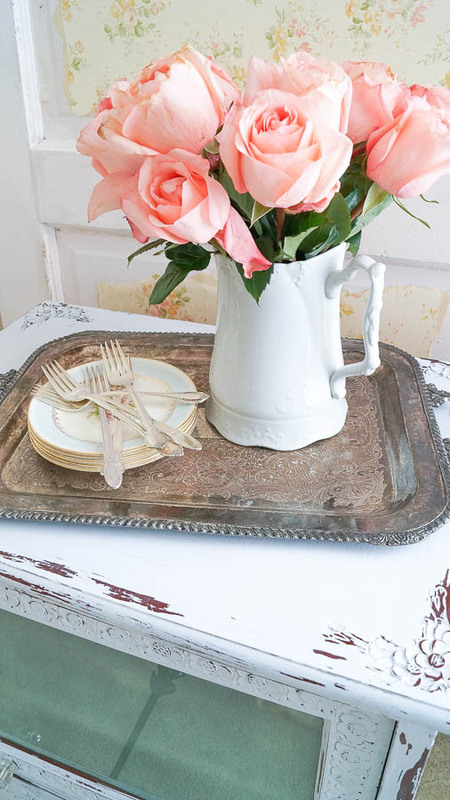 I’m not looking for anything new for my home, but I am slowly picking up pieces for my sale next spring. I found this cabinet, I think it was used as a t.v. cabinet. What I love about this cabinet is all the details on it. I knew that with a coat of paint I could transform this piece, and give it new life. Although tv set’s have changed since this cabinet was made. I am thinking this one was from the early 2000. 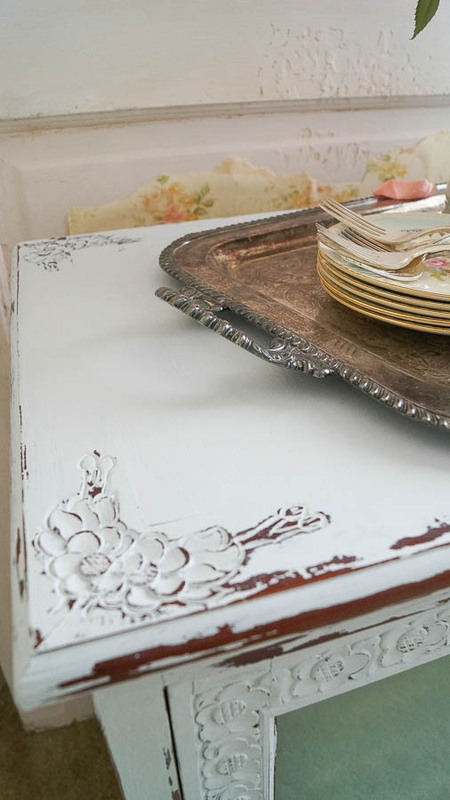 I pulled out my Heirloom Traditions paint in Nickle. Nickle is a silver, blue. It’s one of those colors that when you look at it, the color looks white, silver or blue depending on the light. It was painted with two coats of paint, then used my distressing with vinegar method. After I finished distressed it, I decided the glass needed an update as well. I took my piece outside, and sprayed on Krylon frosted glass finish spray. Unfortunately I could not take this glass door out, so it was a little tricky. But I was able to give it two coats of spray, on the inside part of the glass. And here is my finished cabinet. I love the details and can you see the glass knobs? Those are icing to the cake, they really give this piece a vintage look. Let’s see what you can use this piece for. 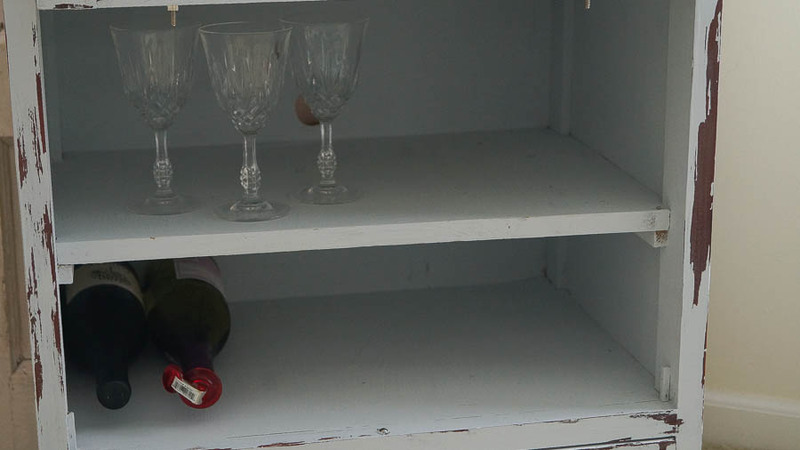 How about a wine cabinet? I just placed a few wine bottles and glasses to give you an idea. But this would make a fun wine cabinet. There’s a drawer on the bottom that makes great storage too. See that hole in the back? That’s where the cords for the cable box and VCR probably went as this was used as a tv cabinet. 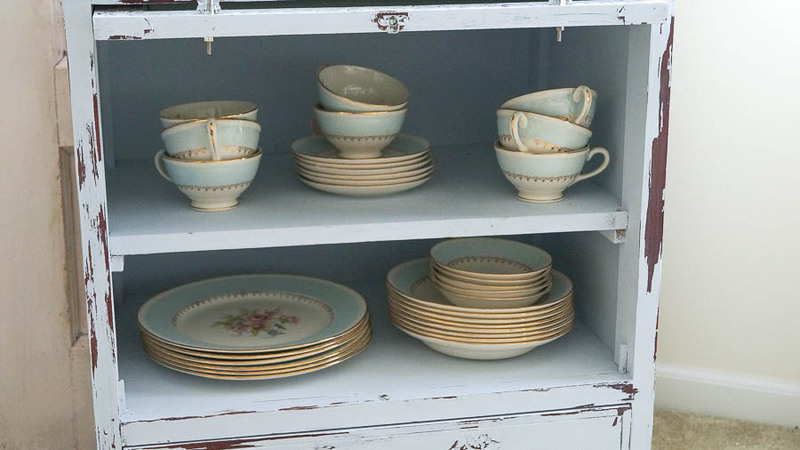 What about a small china cabinet? Again, I am not placing all of my collection inside, but you can see that you could place many pieces in this cabinet. Or what about using this for an office? A copy machine could be placed at the top, and the inside could be used for a fax machine. You could also store paper and misc office supplies. So what I am trying to tell you is, if you find a cool piece but, you think….I can’t really use this as is. Think of how you can use it, repurpose and reuse it. This piece was an easy example of how you can take a piece, give it new life with a little paint. I could have added more color to this piece, and in fact I was thinking of doing that. But I love the simplicity of this piece. Just a lite distressing is all that was needed to bring out the details on this piece. This is such a great piece for a large or small space. And the transformation was so easy too! I’m going to change the subject here. I don’t often talk about personal, I mean really personal things on my blog. But after battling a long list of illnesses , yesterday my husbands Father passed. He was strong man, but had been ill for sometime. As strong as he was, he just couldn’t fight any longer. We are sad that he is no longer with us, but we are glad that he is no longer suffering. 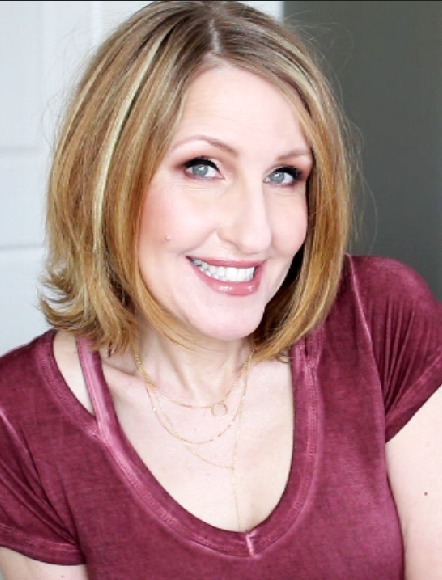 Shortly after my husband and I were married, we found out my MIL had cancer. She suffered for five months. It was painful to see her whither away to nothing. 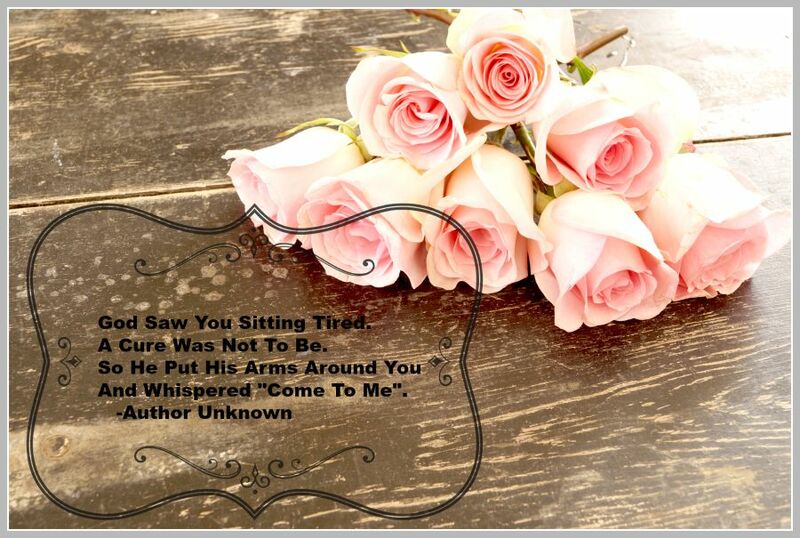 The person I knew no longer existed as the cancer spread throughout her body. And we felt the same way when she passed. We loved her so much, but we were glad that she no longer was in pain. It’s so hard to see someone you love suffer, and there is nothing you can do to help them. So we reflect and remember the good times, the laughter and the joy that they brought to our lives. And an interesting fact about my MIL and FIL. My daughter was born on the date, November 17th, that my MIL passed. In fact it was 10 years to the date also. She died 1989, my daughter was born 1999. Yesterday my FIL passed on my birthday, strange isn’t it. Yes, yesterday was my birthday. Another strange thing, is that early yesterday morning I woke up to the weather channel playing on our t.v. It was about 4:00 a.m. in the morning, they were talking about the tropical storm that was going to hit Florida. Well, that’s all I can remember, I woke up, saw the tv on, turned it off and went back to bed. The next morning, I told my husband about the t.v. being on. He told me that he didn’t leave it on, he knew that he turned if off before he went to bed. And the weather channel was not on, he was watching a baseball game on another channel. My FIL lived in Florida and it’s where he passed. It’s almost like he wanted our attention and wanted to say goodbye before he left this world. Nice Re love Anne. Looks great. 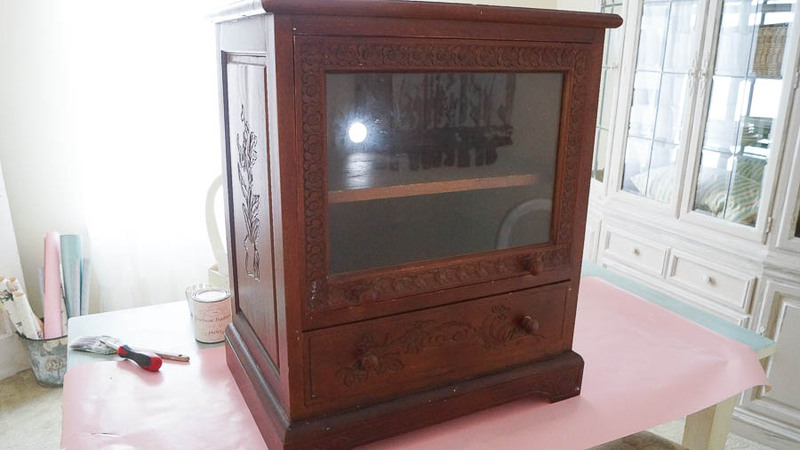 Yout TV cabinet is precious, what a marvelous creative work! I love “Nickle” color and the way it reflects light to give off a light blue/silver or white look. 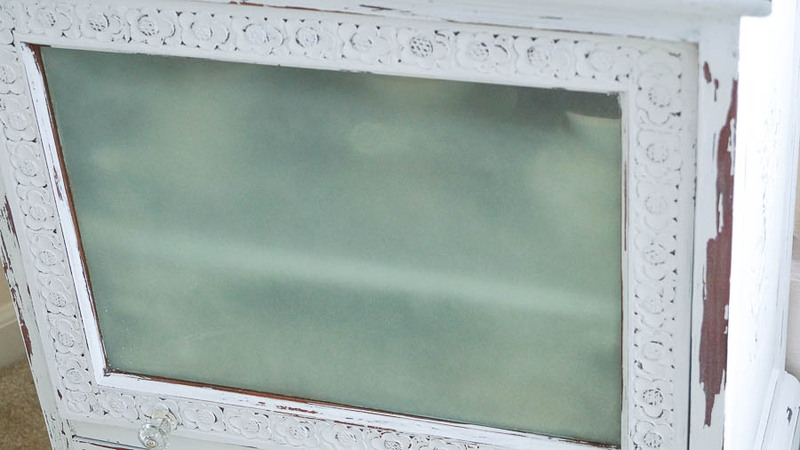 The distressing is perfect, oh, and the glass…well, you just did it all beautifully. I collects all sorts and lengths of antique and vintage ribbons, trims and lace, some on spools, some just made into a little bundle. I also collect antique and vintage metal buttons which I keep in liitle vintage jelly jars my MIL gave me before she passed away. 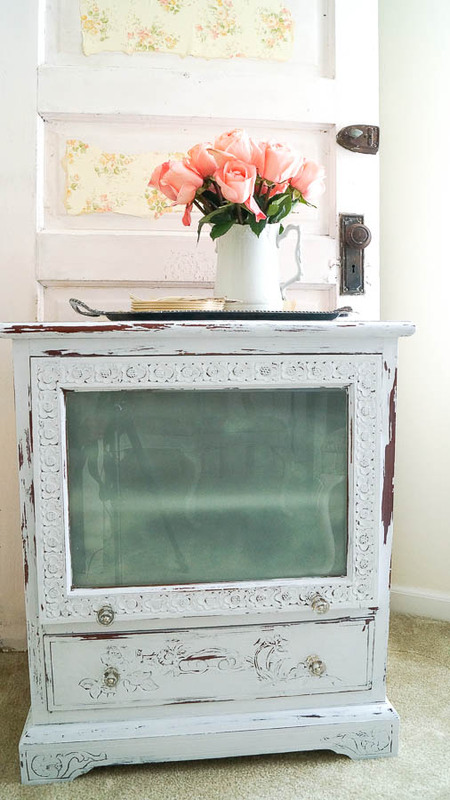 I have various vintage silk flower and paper flowers that all would be PERFECT IN THIS DARLING CABINET! On another note, I am so sorry about the loss of your FIL. I lost my FIL last March. He had been living with lymphoma for many years but with treatment remained very active and lead a wonderful life. We had lost my MIL seven years previous and that was very hard on him, he was lonely. The last few months of his life, he moved in with us I LOVED having him here, he was great company, a marvelous storyteller and kind in every way. He developed a few coughs on Thursaday morning, the first week of March, he died the following day, Friday at 4:00 p.m. His lymphoma had nothing to do with it, he developed a sudden case of life threatening pneumonia and died. I miss him everyday. My husband, his siblings, the grandchildren and I are just now at the place where we can talk about favorite Dad/Grandpa memories and laugh at his stories and quirks. I hope that time arrives very soon for you. I still have my “teary” days, but many, many more smile days of the wonderful man who blessed my life. Be blessed! Thank you Judy. I am so sorry for your loss too. Pretty little cabinet. OOhhhh I can think of many uses for it 🙂 Sigh, and you so far away. I have always said… death does not stop luv. I lost my daddy, (the only parent I had my growing up years), my constant 9 years ago. I still get all weepy when I think of him. AND I know he still watches over us. Know that the storm has decapitated to basically a squall after hitting Cuba. 🙂 FIL was just saying his byes. Thanks Gee, yes I think that’s what it was. Funny how those little things happen. I love the cabinet it is a lovely piece. Sorry to hear about your loss and i know he will be missed. Yes sometimes i think God has ways of letting us know things before they happen. Will be thinking about you this week,i pray things go well.